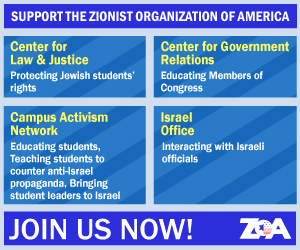 The Zionist Organization of America (ZOA) has strongly praised President Donald Trump for the bold, principled stand he has taken supporting Israel, confronting the challenge posed by an Iranian regime seeking nuclear weapons, and in opposing the shocking growth of anti-Semitism in his State of the Union address this week. 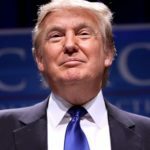 The ZOA believes President Trump’s public words of support are both timely and necessary, given the extraordinary rise of Israel-hatred and Jew-hatred that is virtually everywhere across the globe. 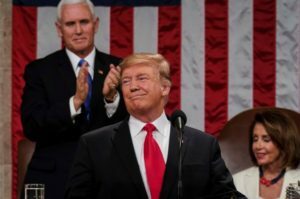 In his State of the Union address, President Trump said: “One of the most complex set of challenges we face is in the Middle East. Our approach is based on principled realism –– not discredited theories that have failed for decades to yield progress. For this reason, my Administration recognized the true capital of Israel –– and proudly opened the American Embassy in Jerusalem … My Administration has acted decisively to confront the world’s leading state sponsor of terror: the radical regime in Iran. To ensure this corrupt dictatorship never acquires nuclear weapons, I withdrew the United States from the disastrous Iran nuclear deal. 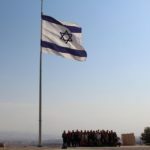 And last fall, we put in place the toughest sanctions ever imposed on a country … We will not avert our eyes from a regime that chants death to America and threatens genocide against the Jewish people. We must never ignore the vile poison of anti-Semitism, or those who spread its venomous creed. With one voice, we must confront this hatred anywhere and everywhere it occurs. Just months ago, 11 Jewish-Americans were viciously murdered in an anti-Semitic attack on the Tree of Life Synagogue in Pittsburgh” (‘State of the Union 2019,’ CNN, February 6, 2019). President Trump also paid tribute to SWAT officer Timothy Mason, who was grievously wounded seven times in confronting the Pittsburgh perpetrator during his murderous rampage; 81-year old Judah Samet, a survivor of the Pittsburgh massacre as well as Hitler’s genocide over seventy years ago, whose ordeal came to an end when he and his family were liberated by American troops; Joshua Kaufman, another Holocaust survivor and an inmate of the ghastly Nazi concentration camp at Dachau, also liberated by American soldiers; and Herman Zeitchik, an American Jewish soldier who stormed the beaches of Normandy and later participated in the liberation of Dachau.